We are calling for a Strong Powerful Puerto Rican Contingent to march in solidarity with all workers this May Day! Puerto Rican workers, both on the Island and throughout the Diaspora, have been fighting against privatization of education/social services, demanding new jobs, union rights, and housing; just like other workers’ have throughout the United States, Latin America and the world! Let us continue in our proud tradition of internationalist solidarity with the workers’ of the world! MOTT HAVEN More than 80 public housing developments around the city will be outfitted this year with millions of dollars worth of high-tech cameras, intercoms and locks controlled by electronic key tags. City Council members set aside $41.7 million in discretionary funds to finance the NYC Housing Authoritys long-planned security upgrades, which took on new urgency after the agency found in a 2010 survey that more than 75 percent of public housing residents fear crime in their developments. The new technology will be rolled out as part of a pilot project at the Mott Haven Houses in the South Bronx, and then installed at developments in all five boroughs later this year. The future developments will include the Amsterdam Houses in Manhattan, the Coney Island Houses in Brooklyn, the Woodside Houses in Queens and the Mariner’s Harbor Houses on Staten Island. NYCHA-approved contractors will install new security cameras, door access controls or both in the buildings at each development. 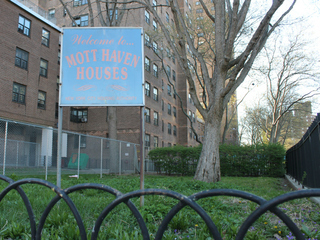 Residents at the Mott Haven Houses, where the security installation is already in progress, welcomed the upgrades as an overdue response to their concerns about unlocked front doors, strangers roaming in their hallways and shootings in broad daylight. CITY HALL Moises Pérez, the scandal-scarred former leader of Alianza Dominicana, will serve as campaign manager to Rep. Charlie Rangels reelection bid, his campaign officially announced Wednesday. 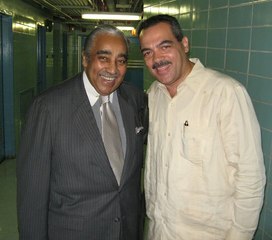 Pérez, the former head of the Washington Heights-based Alianza Dominicana community development nonprofit, resigned last year following a city investigation into the group’s financing that discovered improper transactions between Pérez, Alianza and a company that lends money to nonprofit organizations. 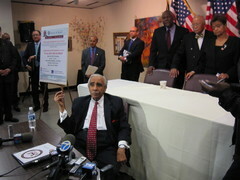 Rangel was criticized at the time after it came to light that he had funnelled $2.6 million in taxpayer money to Alianza through a grant from the Upper Manhattan Empowerment Zone, which he later defended as supporting a lifeline for Dominican-Americans in Upper Manhattan. HARLEM The Metropolitan Transportation Authority got an earful of complaints from residents Wednesday night. The agency heard it about everything from buses endangering pedestrians and parking on the sidewalk, to the removal of parking spacessurrounding the re-construction of the Mother Clara Hale Bus Depot at Lenox Avenue and 147th Street. 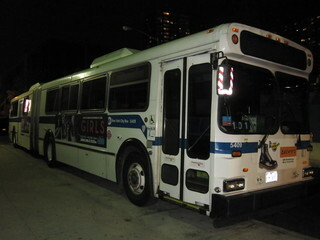 “Buses should not be all over the place. My granddaughter should not be afraid to cross the street,” said Bette White, a resident of Esplanade Gardens, a development of six high-rise apartment buildings adjacent to the depot. “Half of the bus is on the sidewalk and half is on the street. It should be safety first, especially for all the kids in the neighborhood,” White added. The new $218 million, 70 foot high state-of the-art bus depot is replacing a 25-foot-tall 100-year-old trolley barn that was converted to a bus depot in the 1940s. The new depot will house 122 ultra low sulfur diesel buses and parking for MTA employees.